SEPLAT JV 2016/2017 Undergraduate Scholarship... APPLY NOW!! The SEPLAT Joint venture is pleased to announce the commencement of the 2016/2017 edition of the Seplat jv undergraduate Scholarship Programme which is open to deserving undergraduate students of federal and state universities in Nigeria. 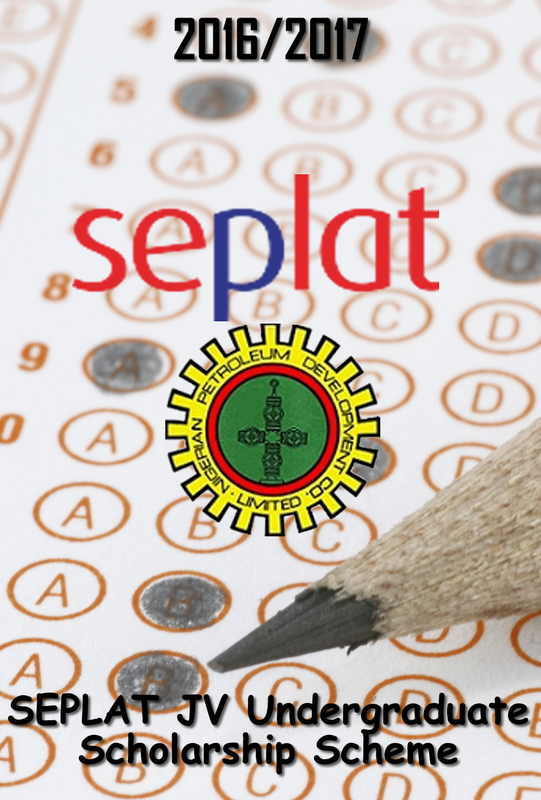 Seplat holds this Scholarship scheme in collaboration with its joint ventures, Nigerian Petroleum development company Ltd (NPDC). But before you apply, I would advise you to go through, understand and comprehend the application hints below. - All applicants are expected to have a valid personal email for ease of communication. - You would be expected to fill all boxes correctly and adequately. - When asked for your (PARENT ADDRESS), fill in words else it won't proceed to the next step. E.g (One onikan street) not (1 onikan street). - You would be asked for your JAMB registration number and score. - Your year of admission and expected year of graduation. - You would be asked the name of your H.O.D so better know it. - You would be asked your bank details and not expected to fill in your BVN. - You would be asked the primary school and secondary school you attended, so know it. - You would fill your phone number. - You would be asked to upload 3 documents, your passport, 0' level result of one sitting and JAMB result. Pls note that shortlisted Applicants would be contacted. 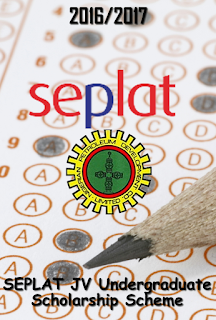 And application deadline is two weeks from the publication of seplat advert.